Bulldog Movers is the company that Conyers residents have relied upon since we first opened for business in 1982. Back then our company was much smaller, but today we have nearly 30 of our bright red moving trucks out on the roads and more than 100 employees here to help you move. Speaking of our moving trucks, each one is larger than standard moving trucks and equipped with air ride suspension, allowing our Conyers movers to get the job done in fewer trips and ensuring your items a safe travel along the way. And, should you ever want to know the location of your possessions during the move, a simple call to our office will be able to tell you their exact location, thanks to each of our trucks being outfitted with a tracking device. We will treat you and your belongings with only the utmost respect and care. All of our employees are full-time movers working exclusively for us, experienced, and never smoke on the job. We custom-build wooden crates to protect your more fragile and delicate items. 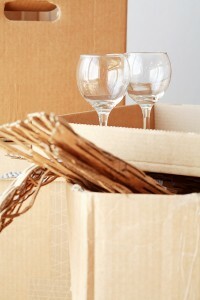 We offer packing and unpacking services in case you don’t want to do it yourself or need to save time. You will never have to pay for any boxes or other items you don’t use. One thing we’re especially proud of at Bulldog Movers is being the recipient of nine consecutive Consumers’ Choice awards, which is something that no other Conyers movers can claim. So, don’t trust your relocation to just any moving company. Trust the experts at Bulldog Movers and experience a world of difference. To learn more about our professional movers serving businesses and residents in Conyers, please call or email Bulldog today.